UPDATE: The winners are…Katherine Smits and Mary Preston! 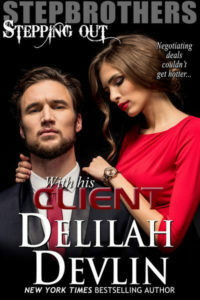 First, thank you so much, Delilah, for hosting me on your blog. Much appreciated. Since it’s Halloween month, I want to talk to you about ghosts and the five haunted cities you should put on your Bucket List (“Things To Do Before I Leave This Earth”). Not long ago, I was browsing through my back list of books and came to a surprising realization—many of my books have ghosts between the pages. The translucent spirit is usually a secondary character (at least, so far – lol). I had to ask myself two questions: 1) Why do I gravitate toward writing about dead people… er, I mean those who have crossed over and, 2) Does it have anything to do with seeing them as a child? Yes, you read that right—I started seeing ghosts about the time I turned three years old. My wonderful Mom, now 91 years young, will vouch for me. She remembers those days with excellent recall. Every night, I insisted there were little people sitting on the coving near the ceiling of our very old home. I remember being frustrated that she couldn’t see them like I could. I still don’t know if that’s why I write about them but it’s an interesting theory, isn’t it? Anyway, back to the haunted cities. If there’s any way you can get to these ghost-sighting places, you should really check them out. You won’t be disappointed. It’s believed that Savannah was built on American Indian burial grounds, which goes hand-in-hand with hauntings. It was also the site of Revolutionary and Civil War battles and yellow fever outbreaks. Best-selling novel Midnight in the Garden of Good and Evil boosted the city’s spookier side, putting such locales such as Bonaventure Cemetery on the national radar. Or go the DIY route and take your pick of haunted restaurants, like The Pirate’s House or The Olde Pink House. If you’re brave enough, spend the night at a haunted hotel: Room 204 at the 1790 Inn & Restaurant is reportedly visited by a ghost named Anne. She can be heard crying after turning off the lights. The Marshall House was once used as a hospital during the Civil War and yellow fever outbreaks, and tales abound, from ghost children who bite to soldiers carrying severed limbs. Other majorly haunted sites include Moon River Brewing Company, which was the city’s first hotel in 1821, and featured in an episode of Ghost Adventures. The White House, The National Theatre and Hay-Adams Hotel are among the city’s haunted hot spots. Get the lowdown on its seedy past with Washington DC Ghost Tours, Scary DC or Washington Walks. However, The U.S. Capitol Building, which was built in the mid-1800s, is filled with specters, from construction workers to politicians (John Quincy Adams actually died there). In fact, there’s even a “demon cat” that appears right before national tragedies. Historical hauntings also happen at The Octagon House. Dolley Madison, wife of president James Madison, lived there for a spell, and loved throwing parties; she’s sometimes seen in her party frock. Less happy occurrences in the mansion’s past include rumored murders and unexplained deaths. If you take a self-guided tour of the now museum, don’t be alarmed to feel cold spots on the staircase or hear knocking inside the walls. The Great Chicago Fire of 1871 lasted two days and killed at least 300 people. However, even worse was the 1903 fire at the much-touted fireproof Iroquois Theater, which killed more than 600 people at an afternoon performance. In fact, the alley behind it has been nicknamed “Death Alley,” after those who jumped to their death to escape the fire. It’s also where recovered bodies were temporarily placed. The Oriental Theater now resides on the spot, and people have seen ghosts in period dress, heard screams and smelled smoke. Try your luck by booking a room at the Congress Plaza Hotel, said to be overflowing with ghosts. Room 441 is believed to be among the most haunted, with a woman that shakes the bed, shadowy figures and projectile objects. Even scarier, there’s a sealed shut room with no doorknob on the 12th floor. You probably wouldn’t want to spend the night there anyway. Weird Chicago Tours and Chicago Hauntings cover more haunted spots around the city. The lawless gold rush period and the 1906 earthquake, which triggered a fire that killed at least 3,000 people, likely contributed to San Francisco’s haunted present. However, Alcatraz Island is also notoriously haunted. Tales of death, murder and insanity surround the prison that once held mobster Al Capone. You can visit at night for the chance to experience cold spots, whispering in empty cells and sounds of slamming doors. Learn about other haunted sites, from the USS Hornet to Chinatown, with San Francisco Ghost Hunt Walking Tour, Haunted Haight Walking Tour or SF Chinatown Ghost Tours. Although about an hour from the city, it’s worth detouring to visit the Winchester Mystery House, whose history is just as fascinating as its hauntings. Long story short, a medium advised Mrs. Winchester to never stop building a house in order to prevent ghosts from haunting her. Mrs. Winchester took this to heart, and after 38 years of endless construction, the result was 160 rooms with baffling architecture, from doors that open into walls to staircases that don’t lead anywhere. Ironically, despite her efforts, Winchester is most certainly haunted; take a candlelight tour in October and watch out for lights turning on or Mrs. Winchester herself calling your name. At one point, Portland was considered one of the most dangerous port cities in the world thanks to prostitution, gangs, opium dens and gambling rings. One of the most persistent stories from this era is about the Shanghai Tunnels, which are underground tunnels that connected hotel and bar basements to the docks. Originally intended to transport goods from the waterfront, they’re rumored to be where hired hands in the 19th century would kidnap, or “shanghai” men to work as slaves on ships bound for Asia. Victims would be dropped into the tunnel via trapdoors found in bars and imprisoned in cells until their ship set sail. Some ghost tours such as Beyond Bizarre Ghost Tour, Haunted Pub Tour, Hawthorne Ghost Tour and Shanghai Tunnels/Portland Underground Tours start at Hobo’s Restaurant, where there’s a basement entrance to the tunnels. Besides hearing screaming and crying, people report seeing Nina, a prostitute who met an untimely end at the bottom of an elevator shaft of what’s now Old Town Pizza. I’d like to share an excerpt from my most recent book Comes A Specter, Book 2, Ghostland Series. Several reviewers said the ghost scared the bejeebers out of them (although they loved the book). Setup: Sutter (known as the shaman Yellow Smoke) confronts the ghost, Ten Wounds. A haze of gray mist swirled around the spirit’s form, his human form. If the situation weren’t so serious, Sutter could have shouted with joy. He took in the ghost’s visage. A quiver hung from his shoulder, stocked with sharp, pointed arrows—a sign he’d transformed into the fierce warrior who once walked the earth. 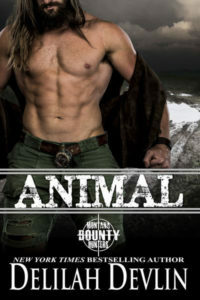 Steeped in blood (no doubt from his recent kills), his clothing hung in tatters around his massive frame—a vest made of animal hides, a breechcloth and fringed leggings. Sutter’s gaze traveled to his painted, pock-marked face. Yellow and white stripes marked his forehead and chin, and black circles blended into his dark eyes. For a brief second, Sutter’s insides quivered and ropes of tension knotted every cord and fiber of his body. Bleary, unearthly eyes speared Sutter when the wraith raised a hand of claw-like fingers and pointed at his enemy’s chest. The wind, much like the sound of a thousand women wailing, keened into the deafening silence. 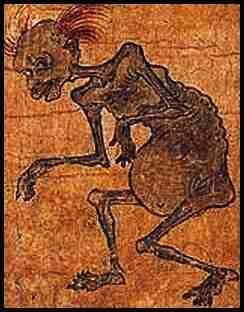 Fire exploded from the ghost’s eyes—flames the fires of Hell couldn’t compete with. 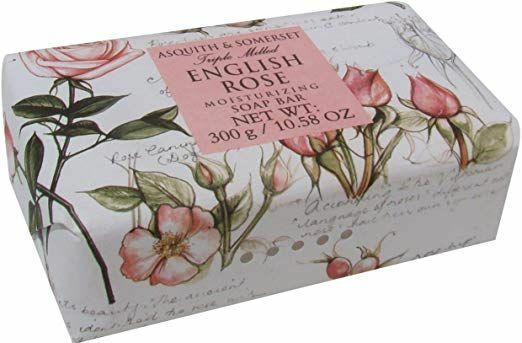 To qualify to win a luxurious, specialty bar of soap (from Keta’s favorite vendors) sign up for my Newsletter HERE and leave your email address in the comment section below. Two winners will be selected and the soaps mailed out several days after this post. 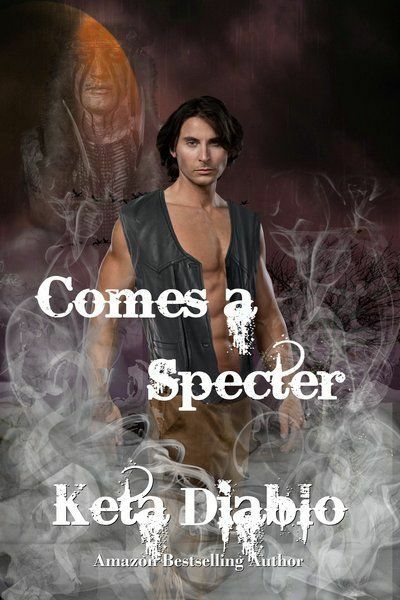 Thanks so much for visiting Delilah’s blog and reading about Comes A Specter, Book 2, in my Ghostland Series (Comes an Outlaw, Book 1) available HERE.